After too long a hiatus, Dérive Day is back on September 9, 2017. Join us, wherever you are in the world. Learn more about the event here, and let us know you’re joining on Facebook. Dérive Day 2017 will tie in with the 4th World Congress on Psychogeography, hosted by the University of Huddersfield at Heritage Quay. 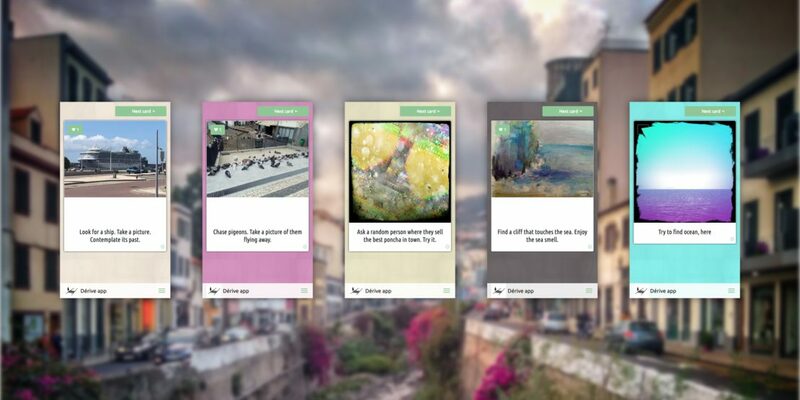 For Dérive Day, we will introduce the concept of ‘hosted dérives’; A number of times during the day, you will be able to join a ‘hosted dérive’, where all participants are presented the exact same task cards at exactly the same time, wherever they are in the world. The resulting divergent experiences, will be testimony to your own unique views and your own unique location. Stay tuned, keep track of what’s the latest on Dérive Day, here.